Rev. Paul F. Jasinski, CSV died on Thursday at St. Mary’s Hospital in Kankakee, Illinois, following a long illness. He died June 28, 2001 the morning following his 82nd birthday. A native of Chicago, Paul Jasinski was born on June 27, 1919, the son of the late Paul and Wanda Jasinski. He entered the Clerics of St. Viator in 1939 and pronounced his final vows on August 31, 1943. He attended St. Thomas Seminary in Denver and was ordained in Chicago by Bishop W.J. O’Brien on May 26, 1946. Fr. Jasinski was a graduate of St. Ambrose College in Davenport, Iowa majoring in Industrial Arts. In addition to graduate studies at DePaul, Loyola and the Illinois Institute of Technology, he was a State certified air conditioning, heating and refrigeration engineer. Fr. Jasinski was a USAF Chaplain for the Civil Air Patrol (CAP) in 1952. He retired a Lt. Col. from Wing Headquarters in 1973. In the Archdiocese of Chicago, he taught at St. Gregory High School from 1955-58 and 1962-64, St. Philip High School from 1958-60 and at St. Viator High School from 1968-70. 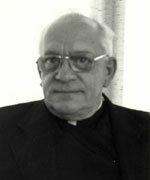 He was manager of the Viatorian facilities at the Provincial Center from 1970-75. 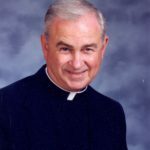 In the Joliet Diocese, he taught at St. Patrick High School from 1942-1955 and served as Associate Pastor at St. Patrick Parish in Kankakee from 1965-68 and 1975-78. For 23 years, 1978-2001, Fr. Jasinski was the pastor of Sacred Heart Church in Goodrich, Illinois. Visitation was held at Sacred Heart Church in Goodrich on Sunday, July 1, 2001 from 4 – 8 p.m., with a wake service at 6:30 p.m. The Mass of Christian Burial was celebrated at 10:00 a.m. on Monday, July 2, 2001 following visitation from 8:30 – 9:45 a.m. Burial was at Mt. Hope Cemetery in Goodrich. Father Jasinski was preceded in death by his parents, a brother, Chester, and two sisters, Lucille and Elvira. He is survived by one sister, Mrs. Alice Danielli. I ask each community to remember Father Jasinski in your prayers and to gather in your local communities to remember him in Eucharist.